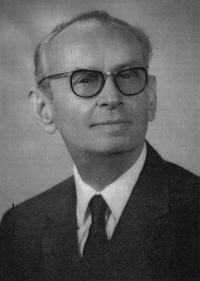 The collecting and spreading of the music of Sephardic Jews – formerly residents in Spain (Hebrew: Sepharad) – was Alberto Hemsi's life task. 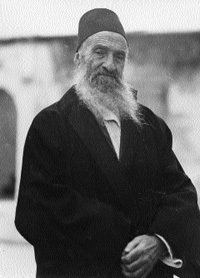 At first he collected traditional melodies and texts in the circle of his family and friends, later he went on extensive research trips in the former Ottoman Empire. The climax of his ethnological activity falls in the period from 1928 to 1935. 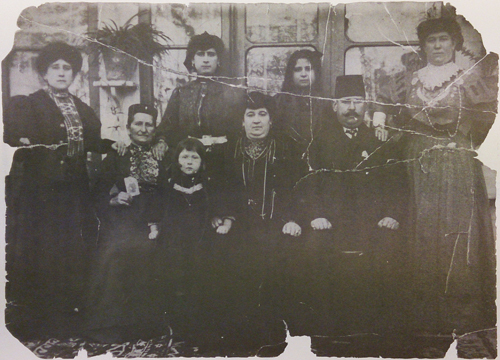 He met Turkish, Bulgarian and Palestinian Jews and traveled several times to Thessaloniki and Rhodes in the summer. The names of 65 informants are known. 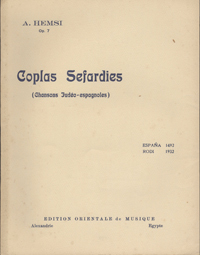 Of a total of 232 collected songs, Hemsi used 60 for his cycle Coplas sefardies which he published in ten volumes. The first five volumes appeared in Alexandria from 1932 to 1938 and the last five in French exile from 1969 to 1973. The long break between the two blocks can be explained by the tragic historical events: the extermination of the Sephardic community on the territory of the former Ottoman Empire by the National Socialists and their collaborators and the destruction of Jewish life and Jewish culture in the Arab countries, including in his adopted home Egypt.